Chocolate is a food group in our household. 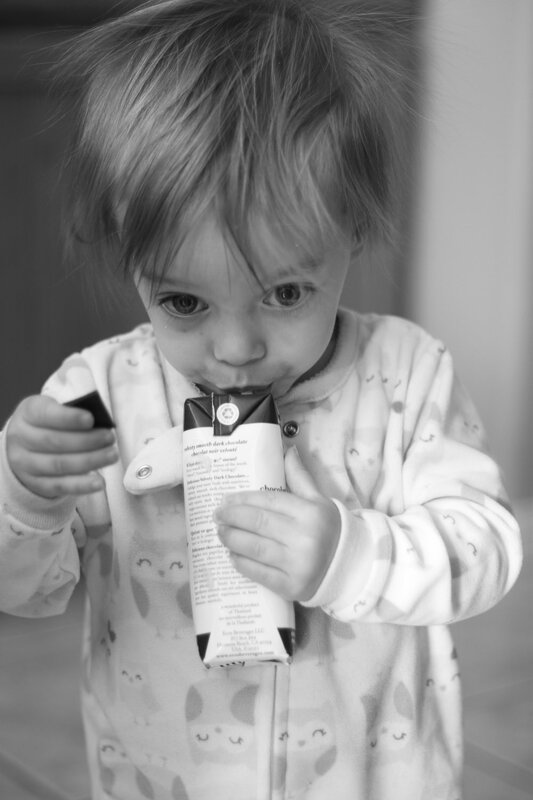 It's consumed on a regular basis, and you can find some sort of chocolate in practically every room in the house. Besides the bathroom. Recently our family has taken an obsession to chocolate coconut water. And by obsession I mean, my husband drank the last bottle this morning and I threw the biggest toddler tantrum EVER. I've always loved the benefits of (plain) coconut water, I've just never been able to well...stomach it. Can I get a Amen?! Then I tried chocolate flavored and i'm assuming you know how this story ends. It's a great cold or hot & topped w/ whipped cream, yummy in smoothies, and even perfect for sick babies when they don't seem to want to eat. And who would have thought it does wonders in a pie?! We all know Thanksgiving is this week, and when grandma brings out those platters of funeral potatoes, dessert is probably the last thing you should end that meal with. Which is why I really wanted to create something light, fresh, & healthy, but still giving your sweet tooth the satisfaction it deserves. Don't EVER leave your sweet tooth hangin'...That just isn't right. It's a little sweet and perfectly filling! Along with a great dose of healthy nutrients to feel good about dessert! Add flour, sugar, & cocoa powder to a food processor. Pulse a few times to combine. Add in coconut oil, and pulse until find crumbs appear. Pulse in 1 TB. at a time of cold water until mixture sticks together when pressed. You don't want it too dry or too wet. Form dough into a disk and wrap in plastic wrap and place in the fridge for 10 minutes. 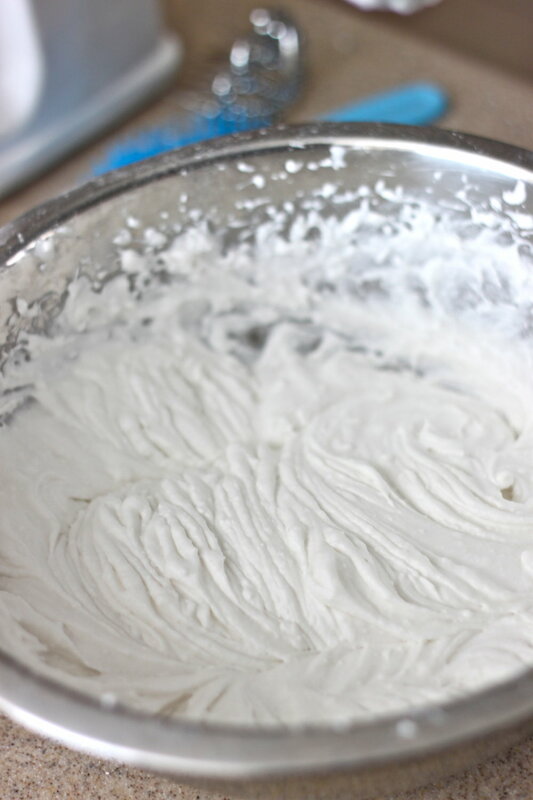 Take the dough out and place a sheet of wax paper on your counter. Roll dough out on top of it to a circle the size of your pie pan. Life the wax paper and slowly turn it over and place the dough on top of your pie pan. Form dough into pie pan. Place a sheet of foil on top and add pie beads or dried beans so the dough keeps it's shape. At 350, Bake in the oven for 20 minutes. Remove foil and bake for an additional 5 minutes. Set aside at let cool. Remove from heat and whisk in chocolate and then vanilla. Once melted pour into cooled pie crust. Place in the fridge and let harden for at least 2 hours. Spread on top of pie, top with chocolate shavings, and serve! Filling recipe adapted from Smitten Kitchen. 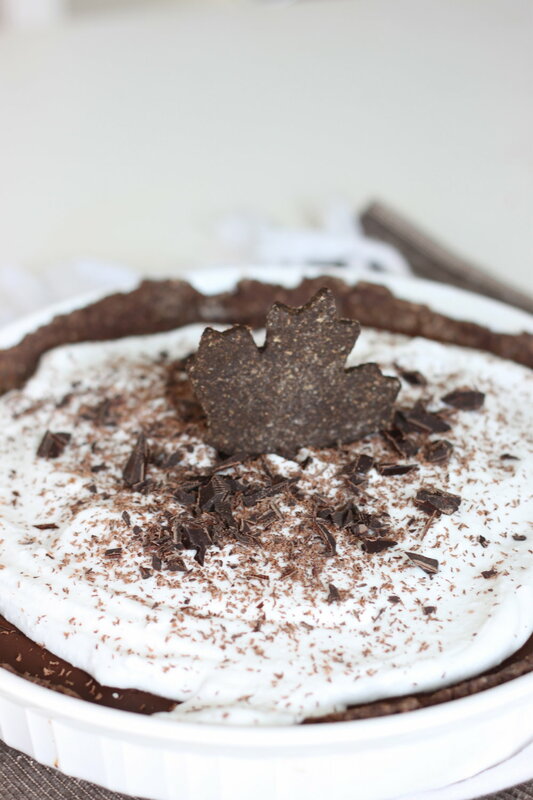 I have to be honest and say that I've never been a 'Pie' person, but you really can't go wrong with chocolate crust, chocolate filling, and creamy topping!